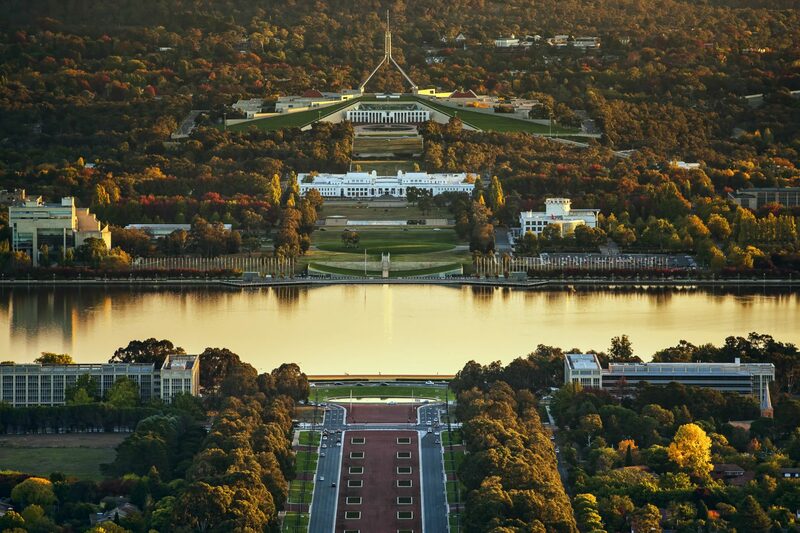 Discover Canberra in Bloom on this relaxed paced 6 Day tour that takes in the highlights of Canberra plus the annual Floriade! Welcome to Canberra. It promises to be a great week! Your tour manager will be travelling from Brisbane today. We will be greeted with a smile as our friendly coach captain welcomes us to the Capital of Australia. Tonight, we are introduced to our fellow travellers over a welcome dinner at the Southern Cross Yacht Club.  We take in some of the city sights as we travel through Embassy Row, finding embassies and high commissions of countries from around the world. Look out for the spectacular traditional design of the Chinese Embassy or the splendid Georgian style United States Embassy. From here we visit the Museum of Australian Democracy (formally Old Parliament House). The Museum was home to Australia’s Federal Parliament for more than 60 years and is now a much-loved heritage building, offering a unique glimpse into the nations fascinating past. This afternoon we visit the Australian War Memorial. 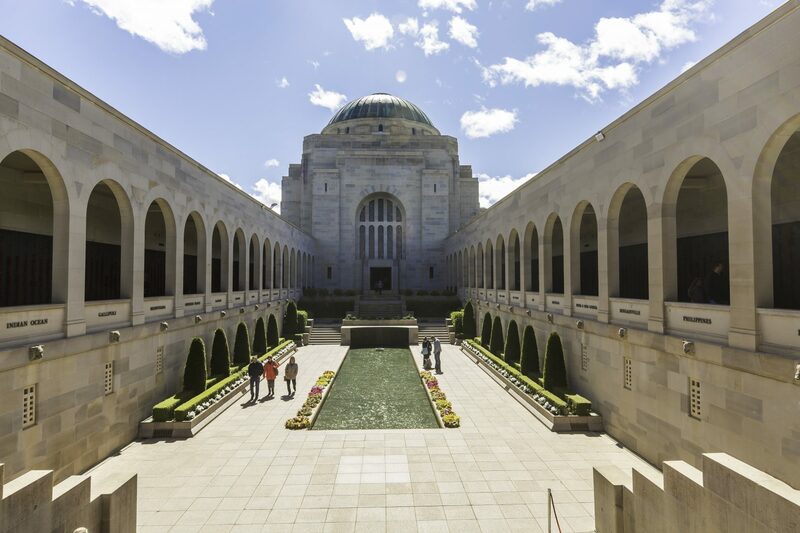 The memorial commemorates the sacrifice of the Australian men and women, who have served in war, through its ceremonial areas, extensive exhibitions and research facilities. The focus of the commemoration is the Hall of Memory together with the Tomb of the Unknown Soldier, the Pool of Reflection and the Roll of Honour that lists the names of over 102,000 Australian servicemen and women who have died in war. Over the past few years the Memorial has undergone extensive redevelopment resulting in new galleries and displays. The largest of these is the very impressive Anzac Hall. On display in Anzac Hall is a vast collection of historic military technology including Australia’s oldest military aircraft – the Deperdussin, a First World War Mark IV Tank and a virtual re-enactment of Australia’s first naval victory in 1914. We stay to hear the last post and closing ceremony before arriving at our hotel for dinner. This morning we visit the famous Cockington Green Gardens. This award-winning tourist attraction takes its name from the township of Cockington in Devon, a historic English village. It is a one-twelfth scale reproduction of building and gardens – thatched cottages, a tiny church, the village green and even Stonehenge. Furthermore, model figures bring the scenes to life. We enjoy lunch at George Harcourt Inn before returning to our hotel. We have an excellent day of wineries ahead of us. Canberra has established its wine growing region with boutique cellar doors and local creations. First, we visit Poachers Pantry to taste their sensational cool climate wines. We try a selection of wine matched with the artisan range of smoked meats for an enjoyable experience. Next, is Shaw Wines to visit their state-of-the-art cellar door designed to take advantage of the vineyard views and rural beauty of the estate. With a private tasting area, we are able to take our time enjoying the delicious wine before browsing the range of local produce such as jams, olive oils and chocolates. A delicious tasting awaits us at Murrumbateman Winery. The boutique cellar door has a warm, rustic feel making it also the perfect place to enjoy lunch. We finish our day at Robyn Rowe Chocolates for a talk and to indulge in the smooth and creamy chocolate tastings on offer. Today is festival day! We make our way up to the Mt Ainslie lookout for breathtaking views across Lake Burley Griffin. Then it’s off to Commonwealth Park, for the amazing Floriade Festival. 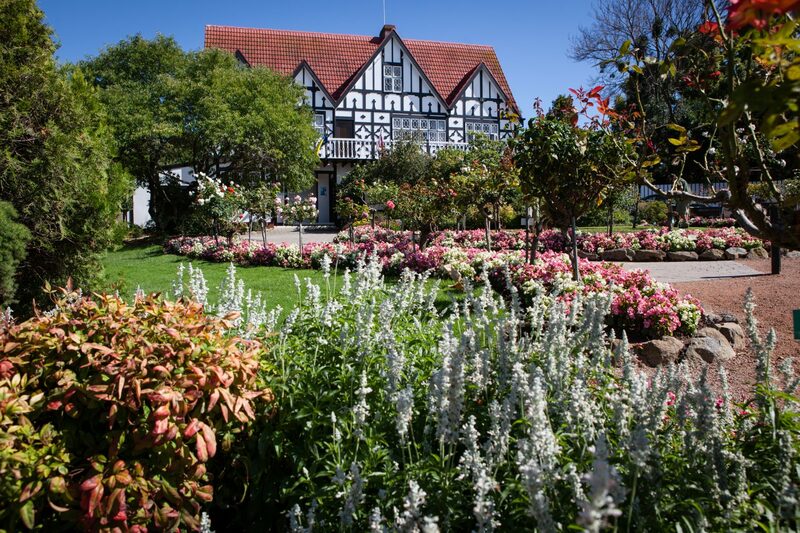 The flower display is the largest of its type in the Southern Hemisphere. Explore the impressive array of inspiring flowerbeds, horticultural exhibitions and unmissable entertainment. 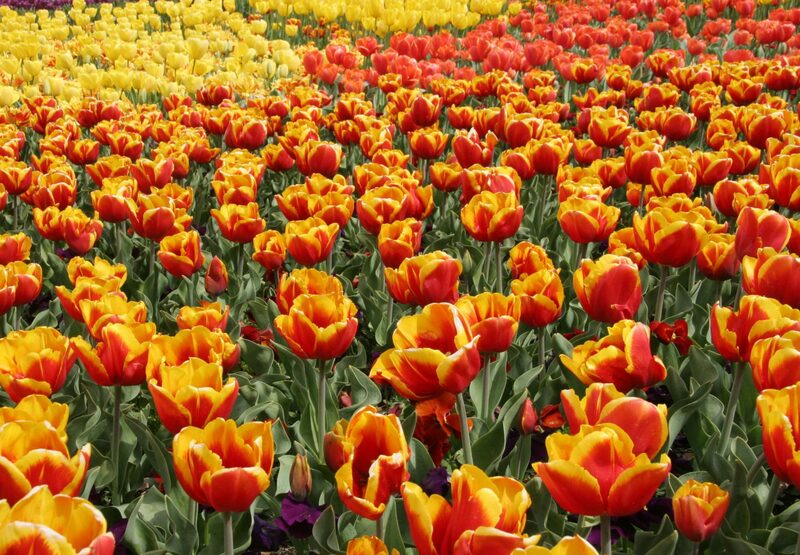 Afterwards, we visit Tulip Top Gardens, where acres of stunning world class gardens bloom to life. Hundreds of blossom trees nestle between the flowers and provide a magic pathway to the cascading waterfall and watercourse with classical music wafting through the air in the hidden valley. We arrive back at our hotel for our farewell dinner. We say goodbye to Canberra and new friends but arrive home with wonderful memories of our springtime adventure.